Those who need a sensible car, yet who also enjoy spirited driving will find the Volkswagen Golf does a good job of meeting these apparently conflicting needs. 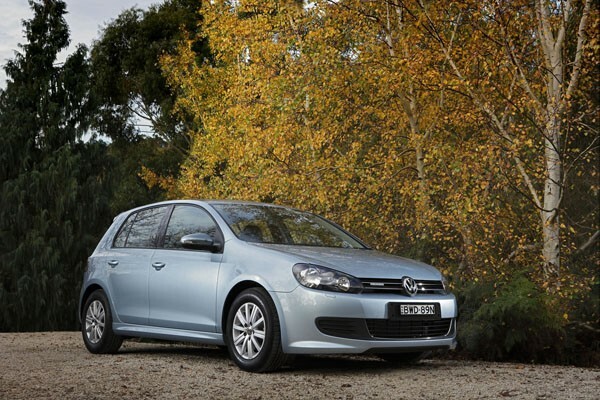 Even by Australian standards the Golf has grown in size with each new model, going from small to small-medium and finally to medium in overall dimensions. This is partly to provide the extra space needed for occupant crash protection though there is some more interior room as well. 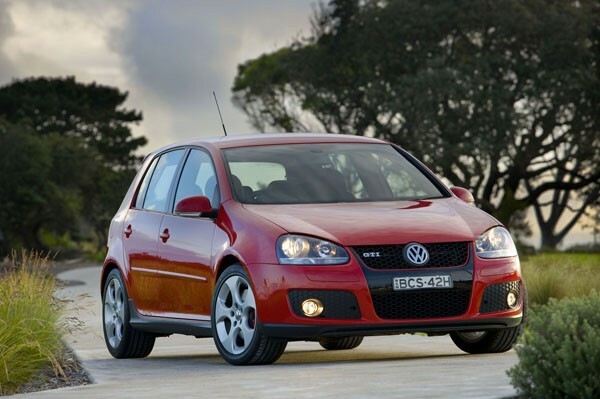 Aussies tend to regard them more as transport for a family with preteen children, but if you live in an inner city area in Melbourne of Sydney you may need nothing more than a Volkswagen Golf to fill all your motoring needs. In Europe, the VW Golf is often seen as a full-sized car and it’s not unusual to see them carting four large adults about. Golf is chiefly sold as a three- or five-door door hatchback. A ‘Golf’ four-door sedan was called the Bora from 1999 until the launch of the fifth generation model in 2005, when it was renamed Jetta. Boot space in the sedans is substantially better than in the hatches and the four-door models are certainly worth consideration. VW Golf Cabriolet was sold until 2003. It has good roll-over protection for an open-top car and still offers a reasonable amount of space in the back seat. 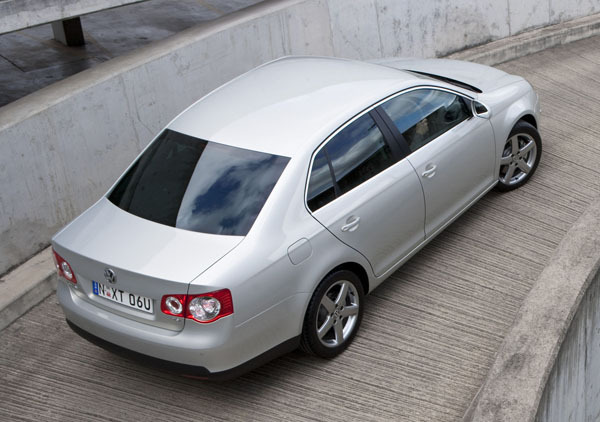 Access to the boot is difficult with the smallish boot lid sitting very low at the rear. The Cabriolet was replaced by the New Beetle Cabriolet, but in a surprise move, VW reintroduced the Golf Cabriolet in 2012. Engines come in various guises: petrol and diesel; with four-, five- and six-cylinder units. Four-cylinder petrol engines are the most common, coming in capacities of 1.4, 1.6, 1.8 and 2.0 litres. The 1.6 will suit most drivers, but those who like to drive hard may find it a bit dull. The 1.4-litre is a brilliant, relatively recent, design and the little turbo unit provides performance with economy. Volkswagen in Australia started a big push in the diesel field several years ago and these engines are now far more common than in the past. With capacities of 1.6, 1.9 and 2.0 litres they provide plenty of grunt and turbo lag isn’t too bad. Those who enjoy a really good drive should consider the VW Golf GTi. A fun machine for the keen driver, it’s rapidly becoming regarded as a classic in the Australian hot-hatch market. Then there’s the Golf R range of extreme hotshots. These traditionally had a large V6 engine – 3.2 litres in a smallish car gives plenty of performance. These are tagged as Golf R32. The latest model, launched in 2011, takes a different tack, going for 2.0 litres and a high-pressure turbo. Disguising the smaller size of the engine is the change of name to simply Golf R – somehow it wouldn’t have been right to replace the R32 with an R20. Six-speed manuals arrived with the fifth-generation Golfs in 2004 and are popular on the used scene. The DSG gearbox, also launched in 2004, is a self-shifting manual gearbox. It provides far better performance than the old-style four-speed automatics used until 2004. However, in those early days the dual-clutch DSG was often slow and awkward at very slow speeds, making it a pain in tight parking situations. Later DSGs have been improved, but still aren’t as good as conventional automatic transmissions. This VW is a relatively easy car to work on and spare parts are not overly expensive. The dealer network has expanded from a low point during the mid-1990s and nowadays we hear very few complaints about parts availability or servicing. Insurance charges are about average for an imported European vehicle on most Golf and Jetta models. The high-performance Golf GTi may attract higher premiums, the Golf R32 and Golf R almost certainly will cost you a lot more. Rust isn’t common in Golfs and is more likely to be the result of bad crash repairs than vehicle design. Have the car inspected professionally, or find another one. Older Golfs that have been kept in the open continuously may suffer from sun-dried dashboard tops and rear parcel shelves. Feel and look for uneven tyre wear, particularly on the front wheels. Engines should start quickly. Listen for untoward engine noises, especially when it’s cold. Look for smoke from the exhaust when the engine is driven hard, particularly on long uphill runs. Make sure a manual gearbox doesn’t crunch on fast downchanges. Check that dual-clutch transmissions are positive in their shifts and don’t hesitate too much at very low speeds. Be sure the brakes pull the car up evenly. If ABS is fitted you should feel a pulsing through the pedal during hard stops. An area to check early in the piece is the top of the rear bumper. Careless owners may have rested luggage on it while loading the car. And careless luggage packers may also be careless drivers, even careless about having servicing carried out according to schedule.